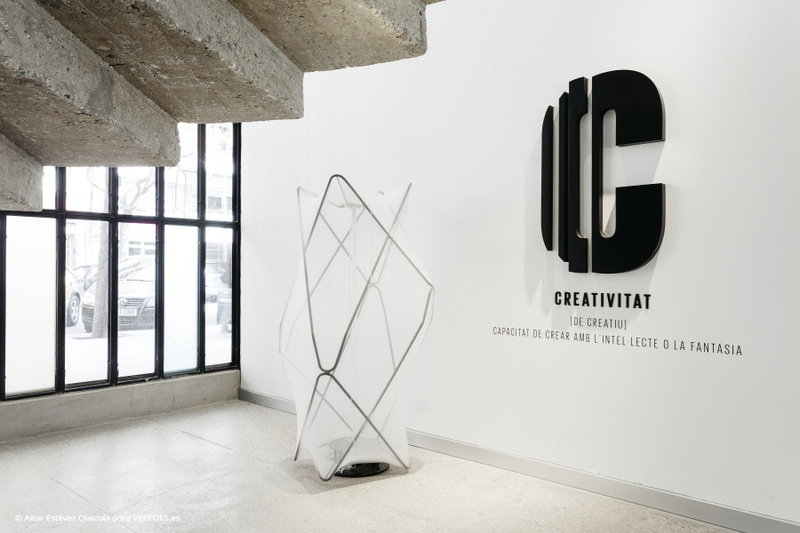 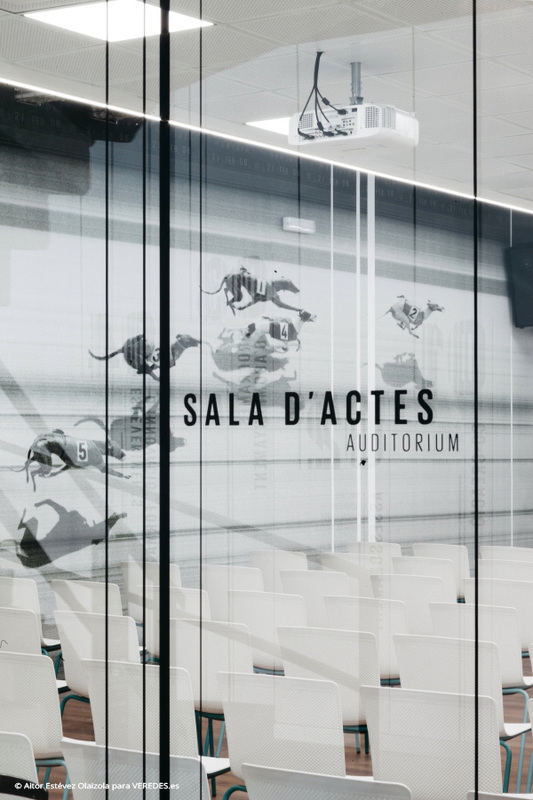 The new Creative Research Park is placed in the Canòdrom, the emblematic racionalist building designed by the Catalan architect Antoni Bonet i Castellana in 1961. 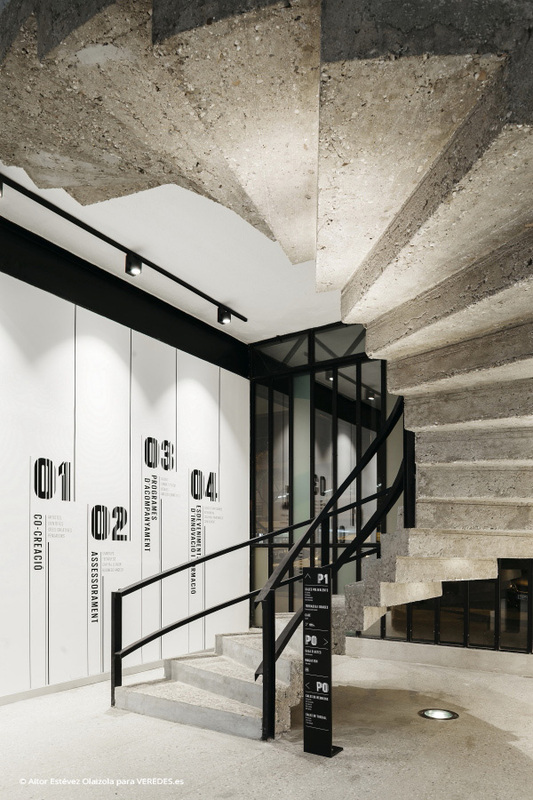 After the renovation of the building in 2016, Dear Design Studio gained the contest for the design of interiors of the building, and in addition it raised the design of the corporate identity and of the signposting to provide to the project of major coherence. 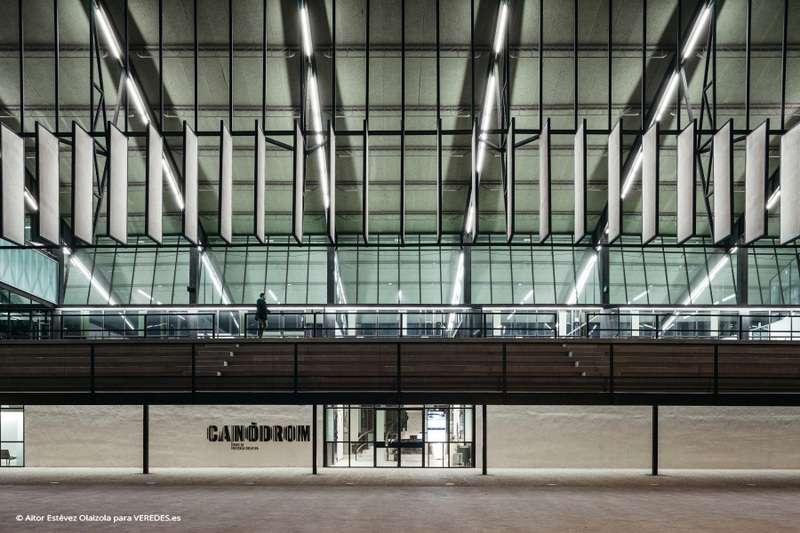 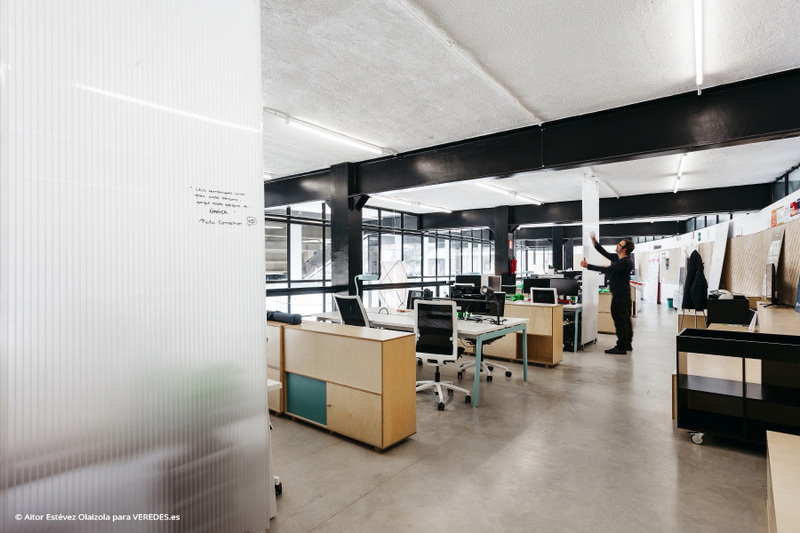 The challenge was to adapt the facilities of the former Canòdrom to his new function: a flexible and dynamic space for the emergent and technological companies of the creative and cultural industries. 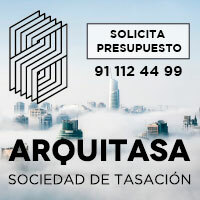 At the same time, Dear Design proposed to stimulate the relation of the building with the neighborhood by means of the incorporation of technological interventions that were reflecting the processes developed in the building. 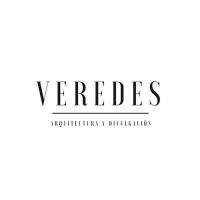 The interior design looks for the flexibility and dynamism of the different spaces, preserving the historical traces of the building. 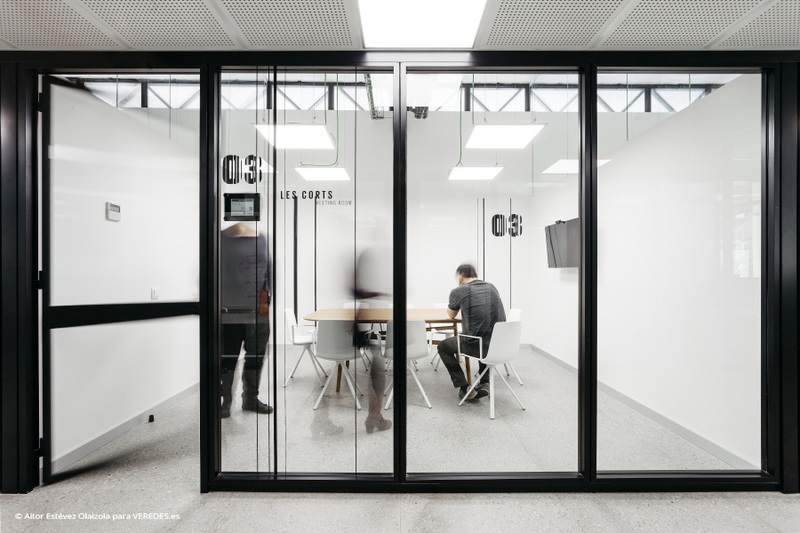 The principal idea is to respect and to honor Bonet’s minimalist architecture, by means of a discreet and careful intervention. 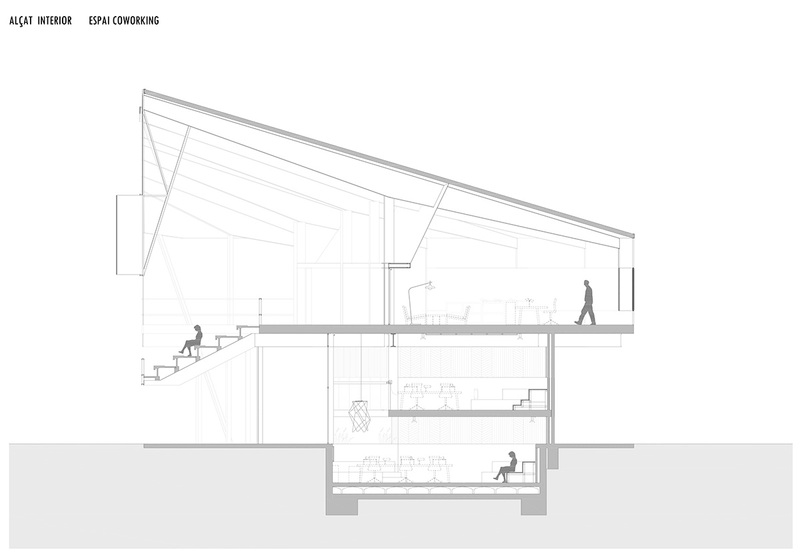 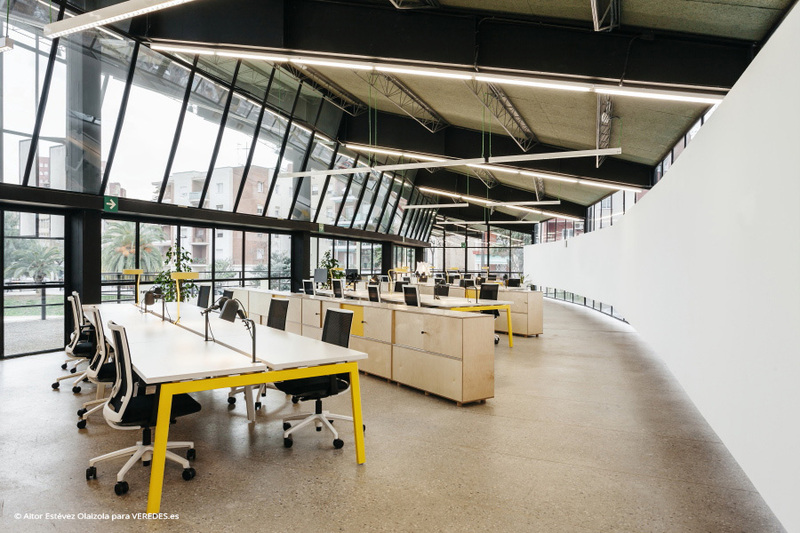 Dear Design answers to an office need “hub” that should promote the interaction between his users and should promote the current ways of working: flexibility and adjustment of the spaces that allows the mobility of the user. 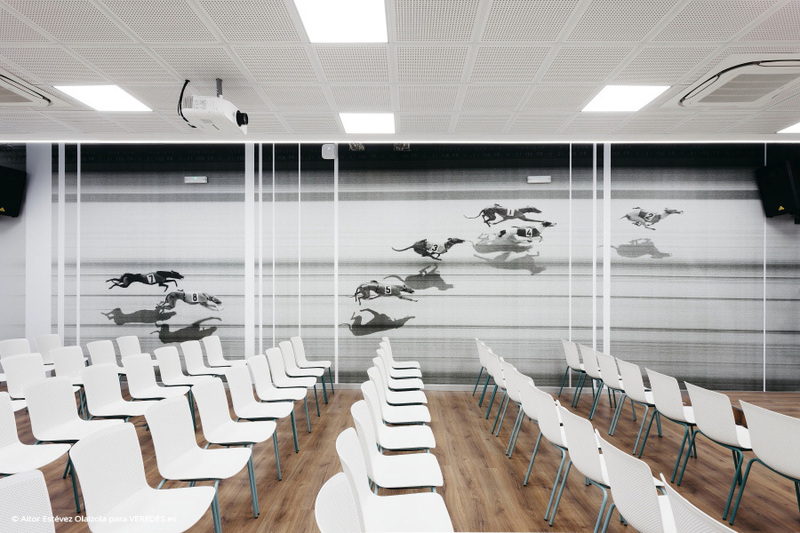 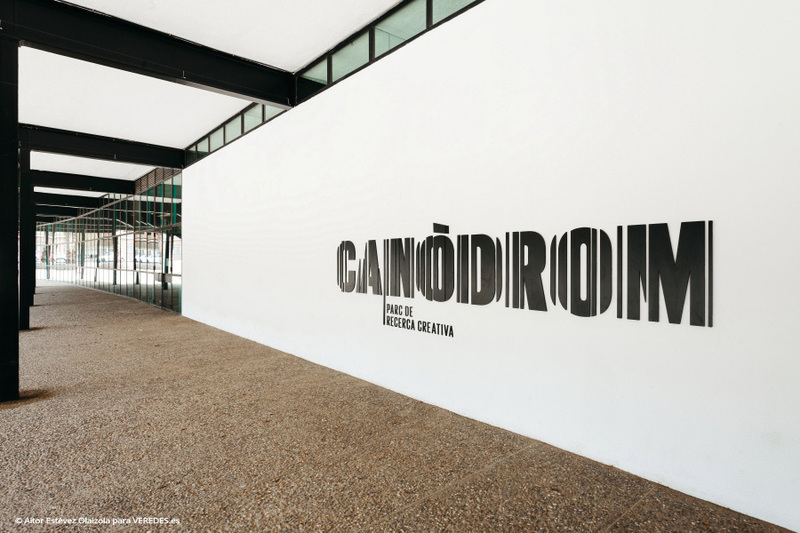 As for the visual identity of the project, Dear Design was seeking to transmit values of speed, movement, progress and technology of the new Creative Research Park represented graphically by means of the irregular decomposition of the typography in vertical lines of different thicknesses and separated by diverse distances. 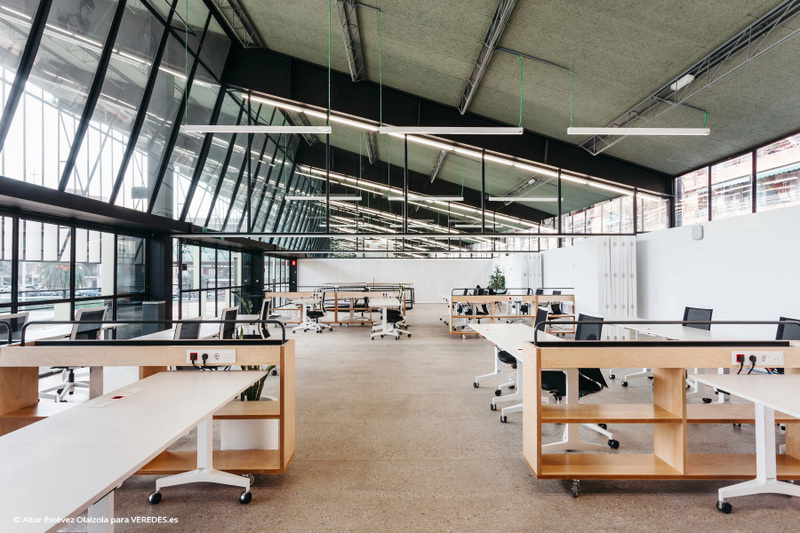 In order to create comfortable and agreeable spaces, hot materials as the wood and the acoustic panels of wwcb have been used to contrast with the structure of preexisting steel and soils of concrete. 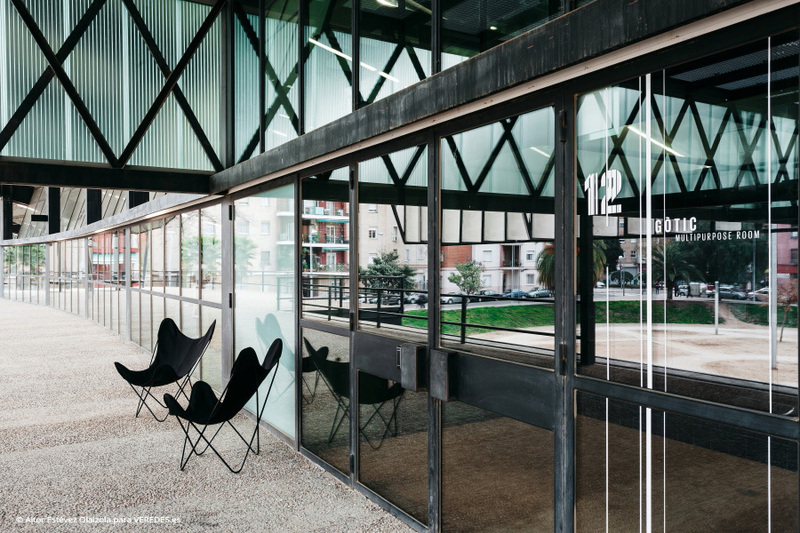 The furniture used in the intervention is a clear wink to the architect Bonet. 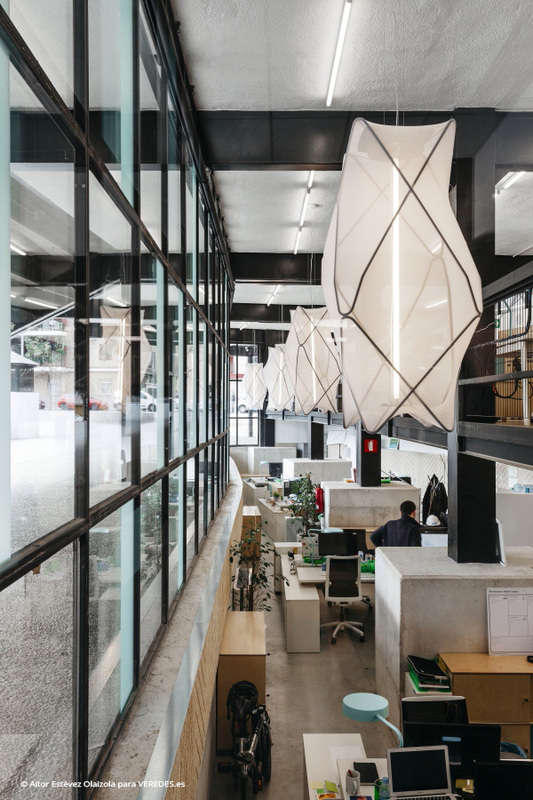 The lamps of foot and suspension, designed by Dear Design, combine 2 original structures of the chair BKF, Antoni Bonet’s original design, with a skin of flexible fabric. 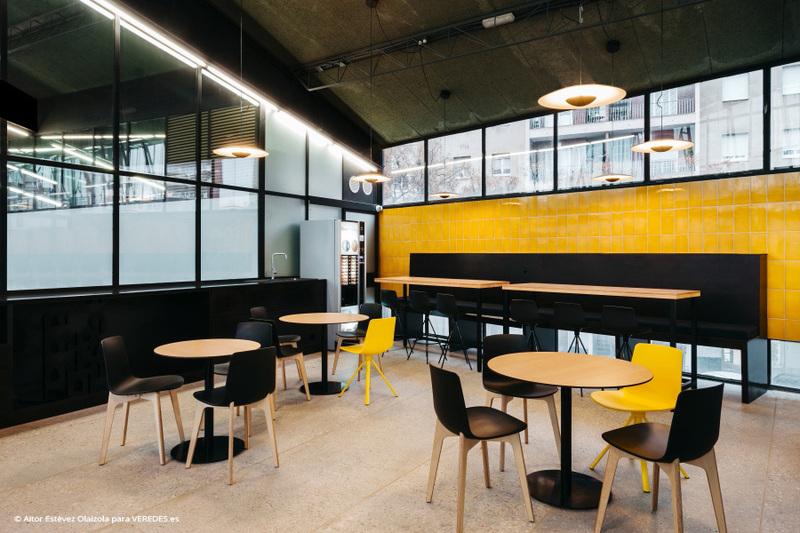 The preexisting colors of the original building, yellow mustard and the light blue one, recover in the lamps of tablecloth, designed by Dear Design, in the metallic structures of the tables, as well as in the vinilos of the front that protect the offices of the Sun.